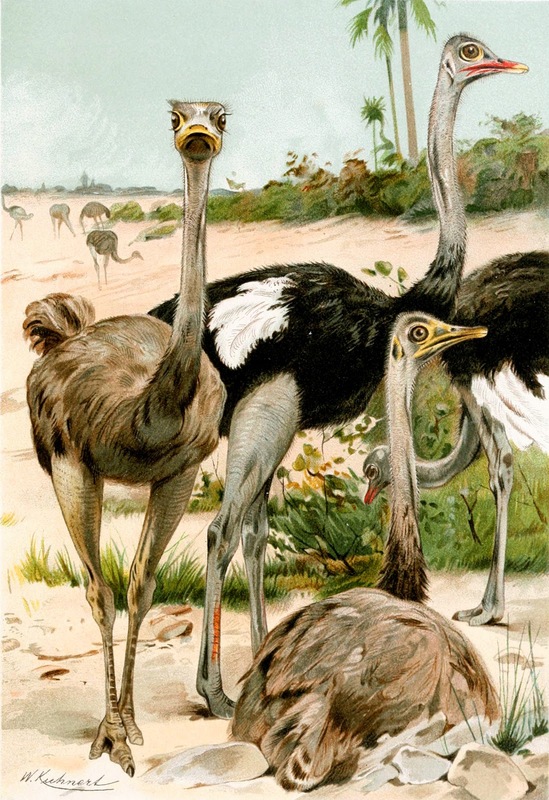 Note: No ostriches appear in this preview! 53.15 Fortress of Pillars: There is a very strange fortress in this hex. The structure is built of bluish-grey stone and is raised above the ground on pillars encusted with sea shells. It has a grand front gate of oak and iron, but no apparent way to enter it without walking on air (and this is, in fact, the way the fortress is entered by visitors – the inhabitants use the hippogriffs kept in the stable to come and go). It is a large keep with nine towers (one is central) topped by glass bubbles aquamarine in color that, from afar, appear to be filled with water. This is a trick of the eye – each in fact holds a small garden of exotic, fragrant flowers from the jungles of Cush. The walls of the fortress are 30 feet tall, the eight outer towers about 40 feet tall and the central tower about 50 feet tall. Atop the walls, one sees 1d4 crossbow-armed goblins on watch at any given time. The walls are exceptionally slick, and one suffers a -2 penalty to climb them. The fortress actually holds 40 goblins (ring mail, spear, light or heavy crossbow) and other monstrous guards. They work for His Most Illustrious Eminence, the Palatine Baron Devald the Daring, a displaced Tremanni warrior who made his fortune as a trader, raider and plunderer in Ende and Cush. As mentioned above, he has a stable of 10 hippogriffs, and he also has an old goblin witch-woman called Zaxa who serves as his major domo and court wizard. 54.27 Mists: This hex is thronged by enchanted mists. The hex looks clear during the day, but if adventurers spend the night here, they awake to a thick fog that makes navigation all but impossible. A ranger or druid can attempt to roll 1d12 under their level to escape the hex – others have a 1 in 20 chance per day to escape. The mists are inhabited by a company of people who lingered too long here. They now appear as misty shades. When encountered (2 in 6 chance per day; 2d8 shades) they attempt to drag people deeper into the mists. After one week in the mists, adventurers must pass a Will save each day or lose one level; any person who has all their levels drained (either by the mists or by the shades), becomes one of the people-of-the-mist and is trapped in this weird pseudo-dimension for all time. 55.35 Spires: The landscape of the savannah here is broken by large limestone spires and arches. The ground here is uneven and difficult to travel across. The soil is sandy around the spires and in the many shallow canyons, and thick with brambles and poisonous snakes. A keen-eyed elf might notice a vast murder of ravens wheeling and keening about a particularly tall spire in the distance. At the base of this spire, a female fighter called Ambang lies dying, two arrows piercing her breast. She was ambushed by seven gnolls – their bodies lie about her and already bare signs of feasting by the carrion birds. Ambang will be dead 1d10 minutes after she is found by adventurers. 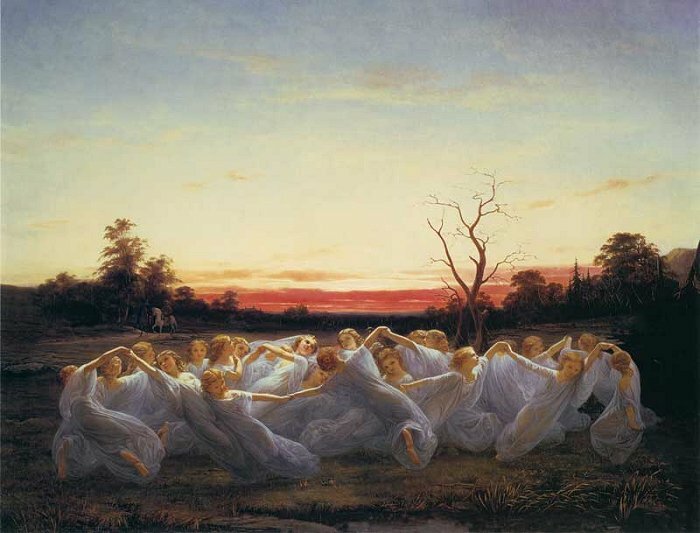 Women in gray are fey spirits who appear as elegant elven women. The are clad in ruffled silks of teal and dun and dappled bodices of velvet, their collars and wrists ringed in lace. Their skin is as white as bleached bone, their thin, enticing lips are champagne, their hair platinum and their eyes xanadu. They are, no doubt, lovely, but they do not inspire love. Ladies in grey appear when the wind turns chill and the leaves begin to fall. One might think of them as the harbingers of winter. They walk through the streets of villages and down woodland paths, a chill following them wherever they go. It is said they speak of deep secrets in the hush, honeyed voices, and their raison d’etre is to lay low the powerful to make room for new blood. In any situation, the ladies in grey will focus their attentions on the most powerful (by levels or possible hit dice) person in their presence. They move swiftly, their bodies and clothes blurring as they do so, and those who enter melee with them must pass a Will save each round or be affected as per the slow spell from the hypnotic quality of their blurred movements. If engaged in hand-to-hand combat, they can produce a slim, silver sickle, but prefer to use their own chilling touch. While slumbering, a victim is placed in stasis – they do not age, nor are the affected by any beneficial or deleterious effects currently on their person, such as spells like bless or poison or disease. They can be harmed and healed while sleeping. While sleeping, half of their life force (i.e. half their levels or hit dice, rounding up) are drained from them and into the surrounding landscape, making plants within 10 feet grow lush and bloom. When they awaken, they must pass one Fortitude saving throw per level or hit dice lost, or lose that level or hit dice permanently. A person can awaken a sleeping creature with a kiss, but doing so imparts one of their one levels or hit dice to the slumberer. This means that the slumberer need not roll a Fortitude saving throw for one of their lost levels or hit dice. Lady in Grey, Medium Fey, Average Intelligence: HD 5; AC 14; ATK 1 sickle (1d4) or touch (sleep – see above); MV 30; F13 R11 W11; AL Neutral (N); XP 1250; Special – Sleep touch, blur effect, slow effect – see above. When I drive, I typically listen to the radio more than to CD’s. This drives my wife nuts, because I’m a rapid channel-changer – I don’t settle for songs I don’t like. If I don’t listen to random stuff, I don’t discover new things to love. It’s the same reason I like the “view similar titles” function on Netflix – you never know what you’ll find, and often that new thing you discover to love is a new old thing. Enter Fanfare for a Death Scene. 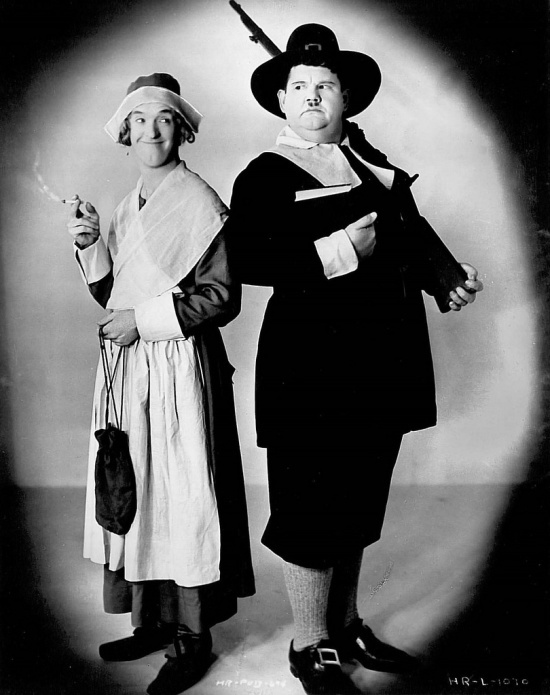 I’ve been on a Charlie Chan kick lately – Sidney Toler’s Chan, to be precise – and through that I discovered Fanfare. 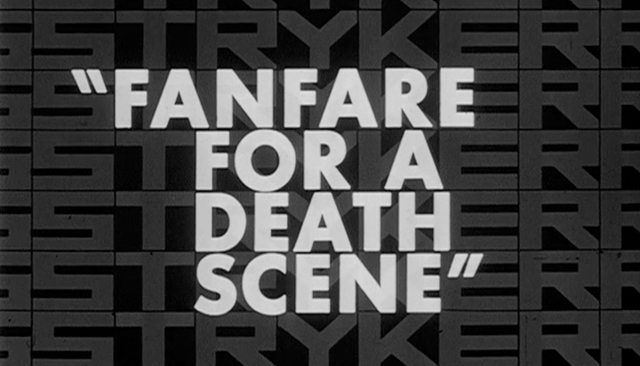 Fanfare for a Death Scene is a spy flick from 1964 starring Richard Egan. I put it on my queue and almost didn’t watch it, but one night the wife and daughter were at her drama practice, and decided to give it a whirl. The film opens with a shot of a sanitarium at night. The camera sweeps in through the bars of the front gate in a shot that reminded me of a Tim Burton film, and then we sweep through the halls of the sanitarium, where all the doctors and nurses are slumped over dead, shocked looks on their faces. After this bit, I felt certain that Burton had seen this film – I was getting a Burton’s Batman vibe. The shot then moves to the exterior, where two men are sitting in a car. They suddenly see a Burgess Meredith burst through the hedges – okay, he wasn’t playing himself, but still, Burgess Meredith is always a good sign. The man sees the fellows in the car, pulls out a trumpet, and then begins playing it. The men in the car stare at him, incredulous, and then turn on their lights. When the lights hit the trumpet player, he pulls out a gun and begins firing. The lights are knocked out, one of the men is hit, and he sends the other off to deliver the news that Bannerman had escaped! If this sounds nuts, it is, and it defines the wonder of this movie. It’s like a ’60s Batman episode without the Dynamic Duo. Meredith plays a crazy scientist and amateur-trumpeter who devises a deadly poison. Telly Savalas plays the Mongolian khan who controls shadow governments all over the world, who wants the poison for some nefarious scheme. Viveca Lindfors (I fell in love with her in The Adventures of Don Juan with Errol Flynn – another must-see) is his Mongolian princess, while Tina Louise (Ginger from Gilligan’s Island) plays one of his assassins (in a suggestive scene you might be surprised to find on early 60’s television). This whole bizarre crew is being hunted by our hero, Stryker, a secret agent and industrialist, who is assisted by agents of the Probational Bureau of Investigation (okay, I think that’s what it was called – I watched it about two weeks ago). Honestly – seek out the film on Netflix if you can – words can’t quite describe how much I liked this movie. Weird without being too weird – it reminded me of a typically gonzo role playing game session, where everyone is having fun and nobody cares how goofy things get. The real reason to watch this, though, is the inspiration it can provide for an espionage game, especially a Cold War game. Nobody believes Stryker when he tells them that the USA has little to fear from Russia and China – the real deal are the Mongolians and their shadow governments and assassins. Tina Louise makes an awesome femme fatale, Savalas an excellent Yellow Peril, and one can imagine the adventures of agents of the PBI as they fight these fellows in games that could have been inspired by a weird, slightly campy ’60’s spy show that never existed. I Got Me a Logo! A couple weeks ago, I commissioned Rowena Aitken – an artist I’ve collaborated with a few times on the Hex Crawl Chronicles from Frog God Games – on a logo. Since I write and publish under my own name, not a company name, I wanted something basic – just my initials. Initially (no pun intended) I was thinking of an homage to a famous old three-initial gaming company you might have heard of called TSR. 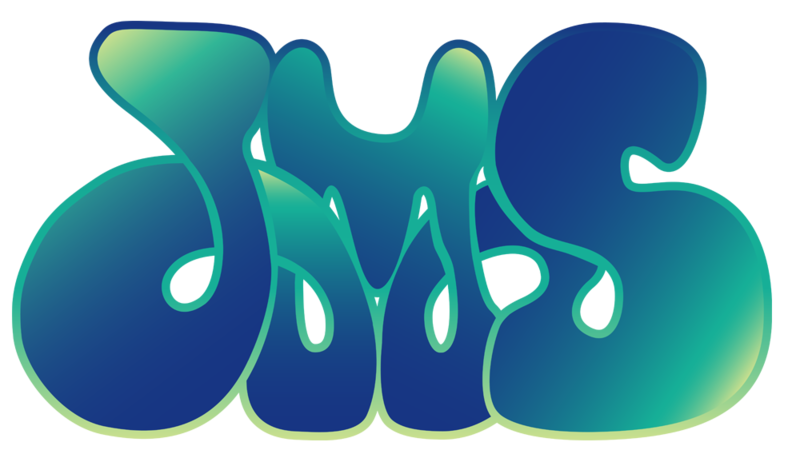 As we discussed it, though, and she showed me some other samples, I actually went for something inspired by the logo for Yes (the band, not the affirmation). 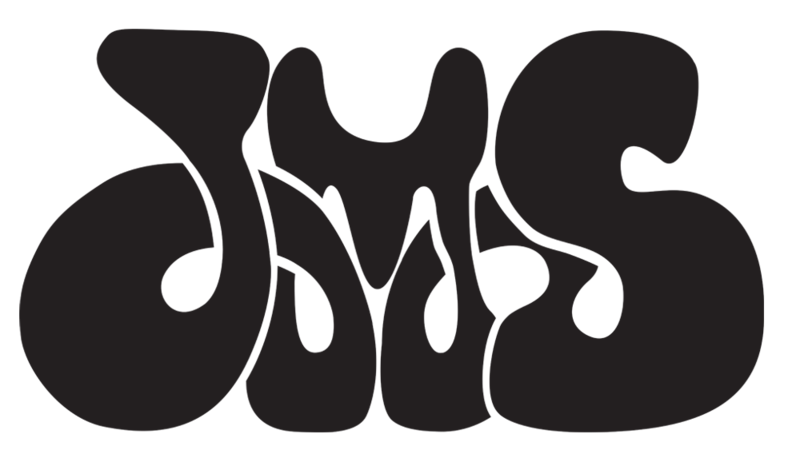 So, without further adieu – my new logo in color and black and white. Look for it on NOD 18 in about a month! Rowena is open for commissions – logos or otherwise – give her a look! Just a quick note today to wish everyone (American or not) a happy day. It’s always a good idea to stop and take an inventory of the blessings in your life, and among mine is the audience of folks who read my blog and buy my stuff. You folks have given me, through your attention and your cold hard cash, an opportunity to pretend to be a real grown up writer, and I appreciate it more than you know. As a way to show my appreciation, I’m put all of my books at Lulu are now 10% off between now and the end of the year (not the PDF’s though – they’re cheap enough already). At the moment, Lulu is doing a 30% sale as well (code is DELIRITAS), so if you’ve been waiting to buy NOD or Blood & Treasure or anything else, now’s the time! Remember, with Blood & Treasure, I’ll send you a link for a free download of a PDF when you buy a hard cover book – just email me the receipt. In other news, I’ve commissioned the first bits of character class art for the Nod Companion, which will gather together classes, races and other useful character bits from the NOD magazines, revising and updating them for Blood & Treasure. It will also include a brief run-down of the Land of Nod’s history and major city-states and peoples, for those who want to know more and can’t wait for me to hex crawl the entire planet (yeah, that’s just about what I’m aiming for – I might skip a bit of open ocean, but I do want to hex crawl the entire landmass). Hell-punkins are orange gourds that are grown in the swamps of Hell. They are steeped in hatred and misery and, when the air turns cold, heaved out of the depths to spread fear on the Material Plane. Hell-Punkins look like large pumpkins (usually about 3-ft in diameter) with burning red eyes and jagged mouths that look as though they were ripped into the flesh of the plant by the plant’s own burning desire to nibble on the flesh of innocents. A single long tendril (8 feet) rises from the top of the plant. Hell-Punkins can breathe cones (10 ft.) of molten gunk and seed from their mouths once per day. The gunk initially does 2d6 points of damage, and if the target fails their Reflex save to cut the damage in half, sticks to people’s skin and deals another 1d6 points of damage the next round. More importantly, the seeds in the gunk begin to sprout the second round, digging roots into the person’s blood (1d4 points of damage) and then sprouting forth in tendrils that grow quickly, entangling the victim (per the spell entangle). Victims killed by this burning gunk eventually become the fodder for a new crop of hell-punkins. The creatures move by bouncing and utter a wheezy cackle of delight when they discover new victims. Demons and devils enjoy a spicy pie made from hell-punkins, a pie that deals 3d6 points of internal damage to most humanoids. In the days of questionable water safety, man developed alcoholic beverages as a way to hydrate without also succumbing to any of a number of horrible diseases and parasites. In colonial America, for example, far more apples were turned into cider and applejack than were baked into pies or eaten raw. Unfortunately, in a fantasy world magic often enters the picture. Some halfling witch of antiquity, miffed at not being invited to the moot, concocted a devilish plan. She invented a magical parasite that could withstand the fermentation process and introduced it to an apple orchard. While only a very few of these parasites managed to actually survive fermentation, the result was devastating. The parasites survived past the witch’s curse, and now appear seemingly at random in apples all over the fantasy realms. The parasites enter the body through the digestive system when an alcoholic apple-based beverage is consumed, and then go to work on body and brain. After ingesting a parasite, a person (non-humanoids are unaffected by the parasites) must pass a Fortitude saving throw or begin a startling transformation. 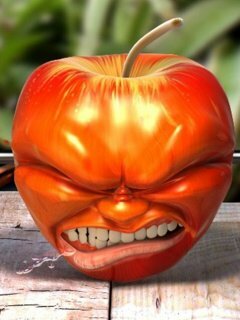 The victim, usually nicknamed applejacks, gets a wild look in his or her eye and falls to the ground, writhing about while they are transformed into a monstrous version of themselves. Their skin becomes a deep crimson, their eyes bloodshot, their lisp curl back to reveal their teeth and the hair all over their bodies grows thicker. The applejack then springs from the ground and begins attacking everyone in sight. The transformation and violent behavior last about 1 hour. The applejack has the same number of hit dice of its host, plus five. The applejack stats below assume the base creature is a 0 HD human being. An applejack primarily attacks with fists and feet. The victim of the creature’s attack must pass a Fortitude saving throw or be knocked backwards 1d4+4 feet and stunned for 1d4 rounds. After the stunning wears off, the victim must make an additional Will save or be confused – in essence, they act as thought inebriated. The applejack does not appear to be interested in killing, only knocking people about and committing as much property destruction as possible. Non-magical wooden weapons that strike an applejack must pass an item saving throw or break on contact, and non-magical shields employed against an applejack must pass an item saving throw every other round or likewise be destroyed. When a person finally comes out from under the influence of the parasite, they fall into a deep sleep and transform back to normal, though they retain a ruddy hue to their faces and their additional hair remains for a few days before finally falling out. They rarely remember the experience, but about 1 in 20 do remember, and gain the ability to go into a berserk rage (per the barbarian class) once per day for about 30 days. Applejack, Large Monstrous Humanoid, Low Intelligence: HD 5; AC 17; Atk 2 fists (1d6 + knock back and stun and confusion); Move 40; F12 R11 W12; AL Chaotic (CE); XP 500; Special – Knock back, stun, confusion, break wooden weapons and shields, insensitive to pain, weapon resistance, immune to mind-affecting spells. 48.44 Crimson Fish: A small, enchanted stream runs through the jungle here. Whichever direction adventurers are traveling, the stream will present itself as an obstacle. The stream is clear and fresh, and filled with small, darting fish of a deep crimson hue. The watercourse looks about 4 feet across, but people who attempt to leap it will discover it is actually about 6 feet across. Folk who touch the water in the river will find themselves stuck fast in the water (a bend bars check is required to extricate oneself from the river) – attempting to pull a leg or hand out of the water is almost like trying to pull it out of a solid block of ice. When a person is stuck in the water, the crimson fish begin congregating and swimming in a counter-clockwise manner. In mere moments, they emerge as a single, large fish-thing, which moves toward the captured person to attack. The fish thing has razor sharp claws and teeth, and every drop of blood spilled in the river (a hit from the monster’s claws that deals more than 4 points of damage causes blood to flow) becomes one of the small crimson fish, which quickly merges into the fish-thing, healing it of 1 point of damage. If the fish-thing is killed, it collapses into its constituent fish, which rapidly dart away as the stream dries away into nothingness, leaving nothing but a patch of thick, sticky mud behind. Fish-Thing, Large Magical Beast, Low Intelligence: HD 5; AC 17; Atk 1 bite (1d4) and 2 claws (1d6); Move 30 (Swim 60); F10 R11 W14; AL Neutral (N); XP 500; Special – Healing (see above), 10% magic resistance. 50.12 Land of Giants: The landscape here is dominated by massive hibiscus plants, with flower trumpets as long as two feet. Giant bees buzz around the flowers (1 in 6 chance per hour of encountering 2d4 giant bees), carrying nectar back to their massive hive near the center of the hex, which partially obscures a giant stone slab. The hive is only partially above ground, the remainder filling a number of tunnels. It is inhabited by 36 giant bumblebees, including their queen. 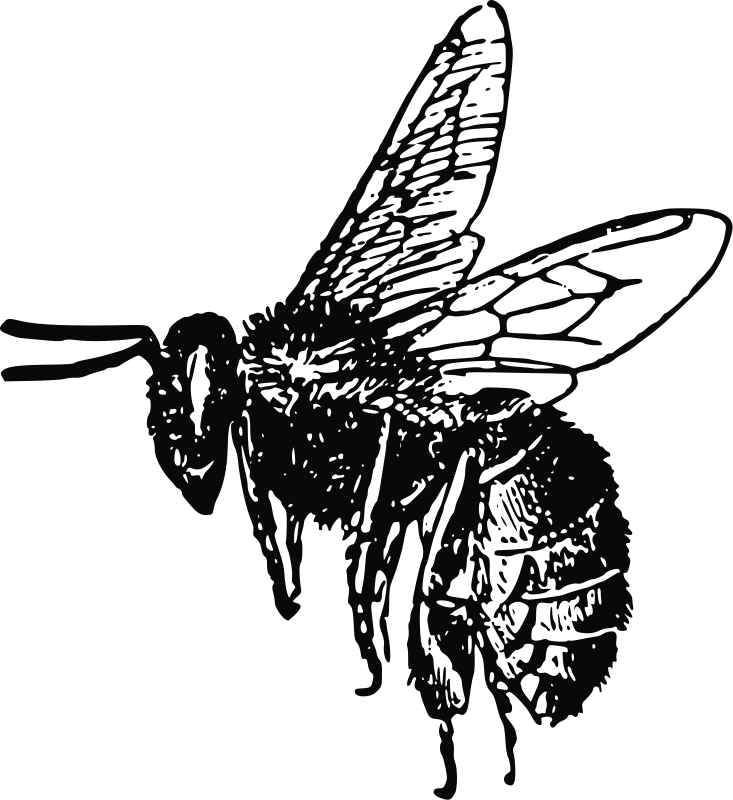 The stone slab that is partially obscured by the above ground portion of the hive measures about 25 feet tall and 10 feet wide. It is actually the top of a massive sarcophagus that has been dug into the ground. If one could remove the slab (they would have to first remove the hive) they would find the remains of an avatar of the goddess Oshun. The avatar has shown no decay, but it is quite dead and cannot be resurrected or raised (or turned into an undead). It is the size of a stone giant, and wears robes of silvery silk and turquoise beads (worth 7500 gp), a headress of silver, electrum and gold beads (worth 3,500 gp) and a gold and ruby ring on one finger (worth 800 gp). If any of these treasures are removed or other-wise molested, a deva will appear to punish the thieves. 52.09 Caravan Remains: This hex holds the remains of a camel caravan. Amid the smoldering corpses, one might find one intact pack that contains a small green bottle of garlic powder, a jar of sweet paste, a small chest containing chunks of dried beef, and several toasted strips of flatbread. In all, they have three days of rations. 52.33. Sea of Blood: The dry hills here become streaked with light grey granite, becoming more and more rugged until they finally become cliffs overlooking a vast, red lake. The people of Pwenet refer to this as the “sea of blood”, though it is actually just normal water tainted by vast iron deposits. The lake is sacred to Ogun. In the midst of the lake, about 500 yards from the shore, there is a granite stronghold on a small island. The stronghold looks as though it is precariously perched there, and might topple into the waters at any moment – though in truth it is quite sound. It consists of a medium-sized tower with a single entrance – an iron door – and a few windows on the upper stories. The tower is deserted. Within, one finds the rooms filled with sculptures. The highest room, a sort of solarium, holds a half-finished statue of Oshun, the love goddess. Even in its rough state it is quite beautiful, and perhaps too good a likeness, for the sculptor, who now roams the place as a ghost, had his eyes burned out as punishment for daring to capture her likeness to perfectly in stone. The ghost, Lumbabo, generally avoids people, but does use its powers to create impressions in peoples’ minds of the sounds of hammers on chisels, or to make it appear that statues are moving and shifting behind them. Males who gaze upon the statue of the love goddess must pass a Will save or fall under her spell. They will covet the statue above all things, and desire most of all to have it completed by a master scupltor. If more than one man becomes obsessed over it, it is likely they will fight to the death to possess it unless somehow restrained. Lawful and neutral characters can make a second will save (Lawful characters at a +2 bonus) to avoid killing a friend. 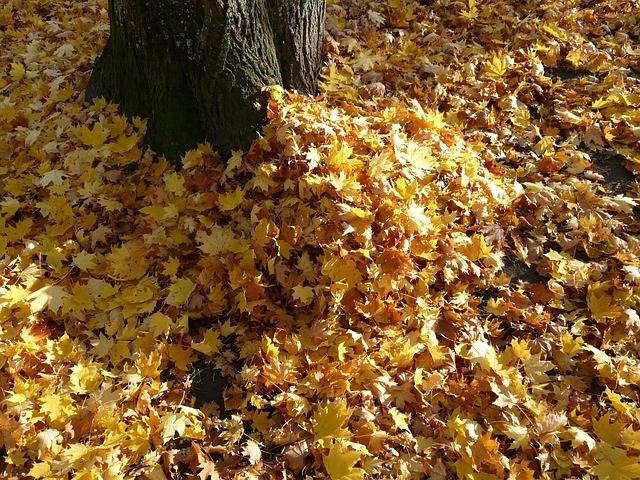 Leaf golems are constructed by druids in the autumnal months, when leaves have turned yellow, gold and red and fallen from the trees and vines are beginning their retreat before the coming of winter. A vast quantity of this plant material is gathered by the druid and sprinkled with various holy compounds and then left in a clearing under a new moon. When the first hint of moonlight touches the mouldering pile, it stirs and rises as a leaf golem. Leaf golems look something like shambling mounds – they are vaguely humanoid, stout and thick, and smell of rotting vegetation. Unlike shambling mounds, they are a bit taller than they are wide. They have no faces, but appear to be able to see and hear. They make no sound other than a persistent rustling, even when standing still, but quieted when imitating a leaf pile and ready to attack. Leaf golems contain dozens of thick, woody tendrils and their interiors are suffused with brown mold. Up to four of these tendrils can be projected from the creature’s body to attack creatures. A creature constricted by a tendril must pass a Fortitude saving throw each round or be dragged 5 feet closer to the monster. When they are right next to the monster, the next dragging pulls them inside the monster. A leaf golem can hold one medium-sized creature at a time, two small creatures or four tiny creatures. Creatures inside the leaf golem begin to suffocate, and are affected per brown mold, suffering 1d6 points of cold damage per round until dead. When dead, they are ejected in a random direction, flying 5 feet and possibly striking another creature for damage (1d3 for tiny creatures, 1d6 for small creatures, 2d6 for medium creatures). The presence of the brown mold and the dampness of its leafy body give a leaf golem resistance to fire. The monsters are immune to cold and suffer only half damage from piercing weapons like spears and arrows. – A blight spell drives the golem back 120 feet and deals 3d12 points of damage to it. – A command plants spell slows a leaf golem for 1d6 rounds and suppresses its magic immunity during that time. Leaf Golem, Large Construct, Non-Intelligent: HD 9 (45 hp); AC 19; ATK 2 slams (2d8 + constrict) and 4 tendrils (1d4 + constrict); Move 20; F10 R11 W11; AL Neutral; XP 2250; Special – Resistance to fire, magic immunity (see above), suffocate (see above), immune to cold, brown mold, surprise (3 in 6 in leafy areas), weapon resistance (piercing). 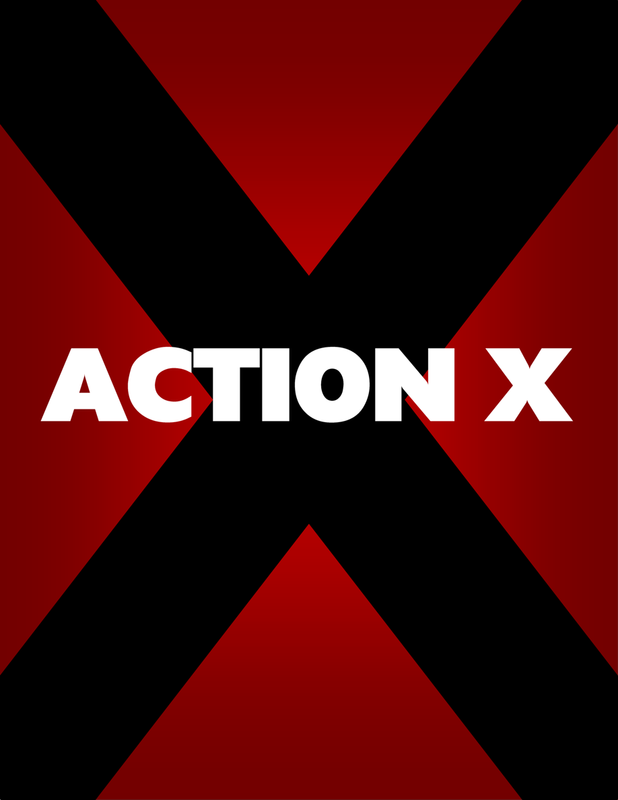 I’ve been sick the last week and had some extra time to devote to Action X. Even though the game is based, at least loosely, on the Modern SRD, it’s been tough going. Blood & Treasure was actually pretty easy, since it was essentially a tribute to various versions of D&D that have been published over the year. I wasn’t attempting to re-think the game – if D&D had rangers at some point, B&T was going to have rangers. Action X, on the other hand, isn’t really based on a game with much history. d20 Modern wasn’t a terribly successful system, in part, I think, because it didn’t have much spirit. Charismatic Heroes and Strong Heroes might be a rational way to design character classes, but they aren’t exactly concepts to conjure with, and the special abilities read more like a technical read-out than something plucked from fiction or movies – lots of skill bonuses or spending action points. As such, most of my labor so far has gone into making Action X something that might spark a person’s imagination as well as being something easy to play and run. Adept – This is the spell casting class. The adept can use occult rituals (take some time and involve arcane tools) and psychic phenomena (only require some sort of focus and concentration). The adept starts with a few rituals or powers in their repertoire, and adds additional powers at every level. To use these rituals and powers, the adept has to make what is essentially a skill check, with various consequences for failure. In essence, I’ll be using a modified version of the system in Pars Fortuna for this. Vancian magic would have been easier, but I don’t think it fits well with how the supernatural is usually portrayed in modern films and books. Adepts roll d6 for hit points (with firearms in the game, it makes sense to allow for more hit points for characters), has one good save (Will), crappy attack rolls, two skills and four knacks and two starting weapon proficiencies. Expert – The expert is the skill class. All experts have something called “skill mastery” – this allows them to pick one of their skills and, when rolling task checks, roll two d20, taking the better of the two rolls. There are three expert sub-classes – the daredevil can use adrenaline surges, the face can fascinate crowds (somewhat like a bard) and the infiltrator can make sneak attacks (i.e. back stab). The expert rolls d8 for hit points, has three good saves, mediocre attack rolls, six skills and four knacks and four starting weapon proficiencies. Mastermind – Best described as a MacGyver or as the Professor from Gilligan’s Island, the mastermind is the go-to guy or gal for answering all sorts of questions, souping up devices and building machines, electronics or brewing up chemical formulas. The Game Master can decide how far out these devices and formula can be. Masterminds roll d6 for hit points, have one good saving throw (Will), crappy attack rolls, four skills and four knacks and two starting weapon proficiencies. Warrior – These are the front line fighters of the game. They all gain multiple attacks as they rise in level (as the fighter in B&T). There are four warrior sub-classes in the game – the bruiser can go into a frenzy (like a B&T barbarian), the gunslinger can sacrifice attacks for extra damage, the martial artist gets some monk-style abilities and the soldier can improve the performance of other combatants (think Captain America barking out orders to his crew). The warriors rolls d10 for hit points, has one good saving throw (Fort), good attack rolls, two skills and four knacks and eight starting weapon proficiencies. Characters can be further modified with feats, the kinds of weapons they become proficient with and, of course, by giving them personalities. Alignments at the moment are pretty simple – Hero, Anti-Hero and Villain – but do have an impact on the game. In place of experience points, characters advance by completing missions successfully. This made sense to me since Action X isn’t really an exploration-plunder sort of game like Blood & Treasure. A hero is your typical white hat. Anti-heroes are like neutrals – they are focused on doing what’s best for themselves, but not to the point of robbing or committing murder. Most film noir protagonists would be considered anti-heroes. Villains are not typically appropriate as characters, though a villain-based game is not out of the question. Heroes have to watch their p’s and q’s, but the bonus they get is that they can consider a mission completed successfully if they manage to protect or save innocent people during the mission, even if their main goal in the mission is not accomplished. Now that I have the classes more or less figured out, I can focus on the task checks, combat (especially gun combat) and then put some work into the adventure chapter, which will cover a few potential eras of game play – Victorian, Pulp, Cold War and Modern – adding little sub-rules where necessary, throwing in some fun random charts, talking about some “famous villains” of the era, and equipment available in the era. It will still take a long while to get the game finished – maybe middle of 2013 if I’m lucky – but at least I’ve made some progress.